They said it should refuse to be intimidated by the “no votes” threat and go to every length to halt the unrestrained destruction of water bodies, land and forest resources. This was contained in a statement they issued at the end of their meeting in Kumasi and read to journalists by the Right Reverend Professor Osei Safo-Kantanka, Chairman of the Steering Committee of the Ghana Evangelism Committee. They called for what they termed “wise and safe extraction of gold and other mineral resources”. They indicated that as leaders, they had a responsibility to contribute to the effort towards safeguarding the environment. It was a dominion mandate of Christians to have responsibility not only to God but also their fellow human beings and to generations yet unborn in the use of the environment. The Rt. Rev Prof Safo-Kantanka noted that they were stewards of the environment and would one day be held to account for their stewardship to God, adding that, the long silence of church leaders on the galamsey menace made them accomplices in the on-going destruction. He said it was time that they told their church members involved in the illicit mining activity to quit. 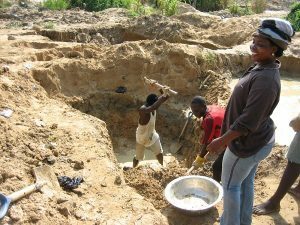 “We want to tell all our church members, whether they are actively involved in this gold mining, or indirectly benefiting from it by selling their farmlands, or employing people to mine for them, that destruction of the environment in order to earn a living is unacceptable both to God and to humanity. The end does not justify the means”. He reminded colleague pastors’ to step up the teaching ministry on the Christian’s responsibility to the environment. The pulpit should be used to educate and bring knowledge to the people. 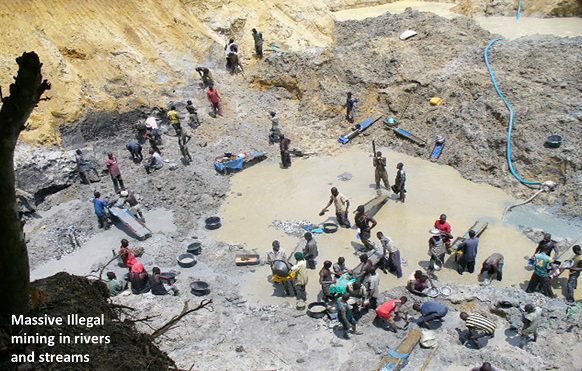 galamsey operation and urged them to cease doing that.